Product prices and availability are accurate as of 2019-04-18 19:16:47 EDT and are subject to change. Any price and availability information displayed on http://www.amazon.com/ at the time of purchase will apply to the purchase of this product. 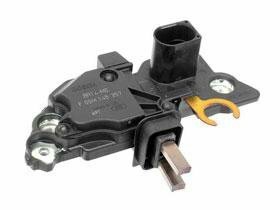 Voltage Regulator, ONLY for BOSCH Alternator Mercedes part# 003 154 25 06, supercedes # 003 154 25 06 Please see FITMENT CHART below, under PRODUCT DESCRIPTION. NOTE: w210 e320 2wd fits from ch# B080432 or F180103 or T091961 onward. NOTE: w210 e320 4wd fits from ch# F180103 or# T091961 onward.